How has this happened? Why is every minute of every hour FLYING BY?????? 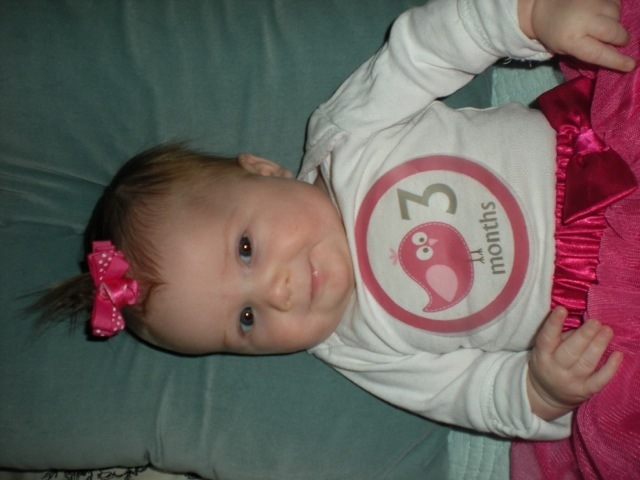 My sweet beautiful baby is 3 months old today! Every single day she does something new. It’s so exciting waiting for the next cute thing she has to show us! I am so fortunate to have a man who completely provides for us so that I can stay home with Harper. I would be SO SAD if I missed her daily milestones because she was in daycare. 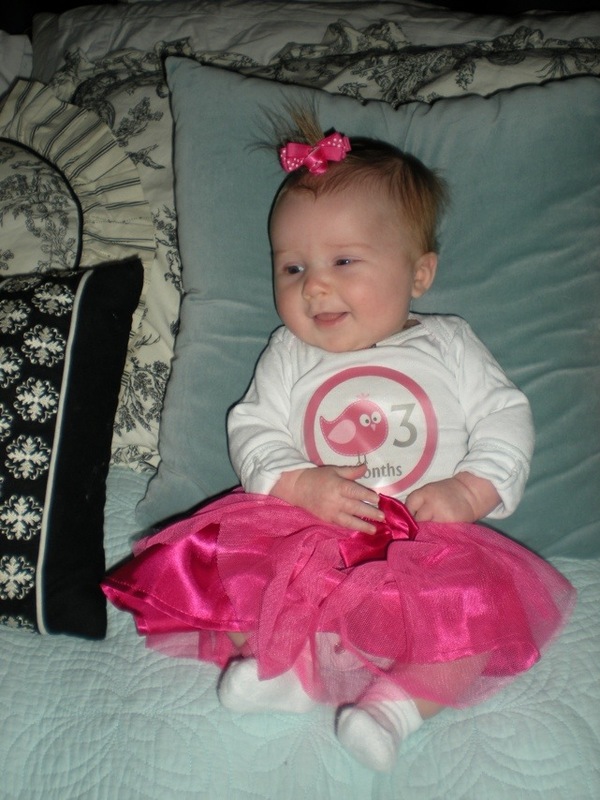 * She makes this little sound that we are SURE is the beginning of her laugh! It’s like a big inhale gasp sound! I absolutely cannot wait to hear the full blown laugh!!! * She legit reaches and tries to grab and touch things now. Her right hand is pretty accurate…but that left one…he’s a tricky one. Lefty doesn’t seem as much in control as righty! But she’s getting better and better EVERY day! * I’ve noticed that in the past few days she will reach to hold her binky in her mouth…as well as bring her hands up to touch her bottle while I feed her. 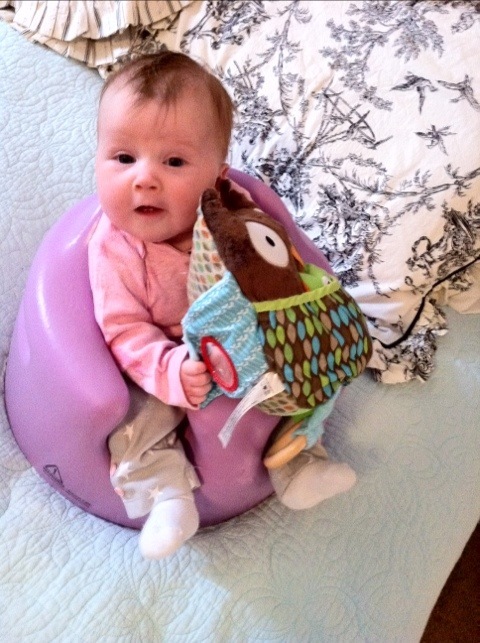 I can get her to briefly hold on to it…we are SO close to her realizing she can hold it up there! * She will FINALLY sleep in a 5.5 hour stint at night! HALLELUJAH!! 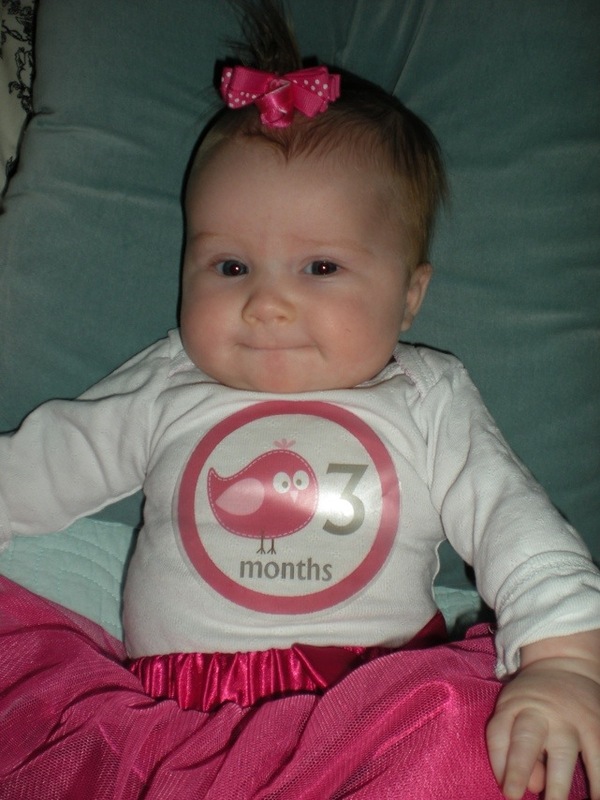 * She celebrated her very first Valentine’s Day AND Leap Year this month! 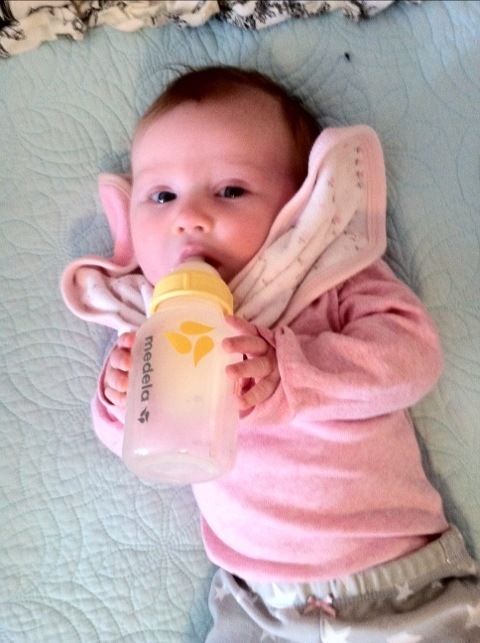 We are still 100% breast milk fed and LOVIN’ IT!!!!! It still makes me feel so great about myself to know that I alone provide my child’s nourishment. AND she is growing like a weed, so we know it’s pretty effective! Her legs are ROLL CITY, ya’ll!!! She 100% without a doubt ALWAYS recognizes Mommy and Daddy. We have people over and she will look at them like “that’s not my daddy”…then scan the room, locate Daddy, and display a huge grin on her face like “I FOUND DADDY!!!!”. EVERYWHERE I take her we get compliments. The compliment we get the most is on her behavior! Everyone talks about how quiet she is when we are in public. She is almost always super quiet when we go out. 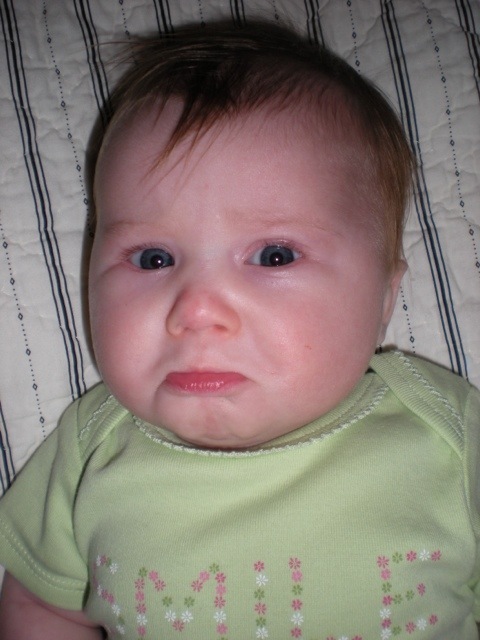 Every baby cries of course! But she is a good baby for sure. She likes to get out and see people…and especially to ride in the car! I think that’s her favorite thing to do these days. Every day I love her more. It’s true that you don’t know what total happiness is until you have a child to love and to receive love from. I’ve noticed that I talk and interact with her SO MUCH more than I did when she was just a few weeks old. Back then everything was new. She would cry and I would just look at her and watch her cry as I held her and not say a word. John would question this- I remember feeling really guilty because I didn’t know what to say to her. I’ve talked to other moms and they felt the same way I did. She’s a new person to me, I had to get used to her and learn what she wanted to hear. I’m still not one of those moms who sings to babies, but I think talking is just fine! I haven’t read to her yet – but John has and it’s REALLY sweet! I will probably start that soon! If you liked this blog – please help me out by clicking the “top baby blogs” link on the right hand side of this page to vote for me! A second window will pop up- just click the owl on the left to confirm your vote! !